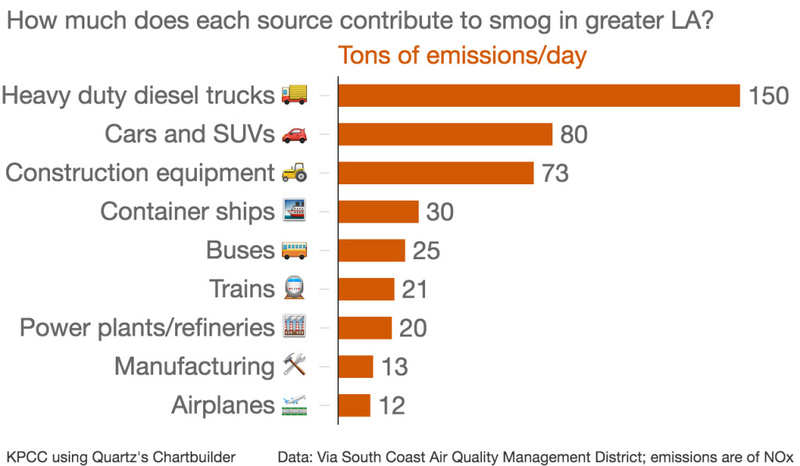 Heavy duty diesel trucks are the largest contributor to smog in Greater Los Angeles. 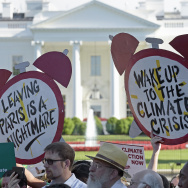 A new study found their emissions may be underestimated. June is off to a smoggy start in Southern California – four of the first five days have exceeded federal Clean Air standards. Emissions from heavy duty diesel trucks are the largest contributor to smog here, and a new study has found that those emissions could be much higher than previously thought. The problem has to do with the trucks' emissions control technology and how well it performs during real-world driving conditions. According to EPA standards, all heavy-duty trucks made after 2010 have to have a piece of equipment that converts smog-forming nitrogen oxides (NOx) into less harmful emissions. Truck manufacturers commonly use a process called Selective Catalytic Reduction (SCR) to do the chemical conversion. But there’s a catch. At low engine temperatures, SCR doesn’t work. Trucks engines need to be at least 200, preferably 250 degrees Celsius for the chemical reaction to occur. According to a new study by UC Riverside, between 15 and 70 percent of the time, big trucks aren’t driving fast enough for their engines to get hot enough enough for SCR to do its job and convert nitrogen oxide into harmless nitrogen and water. That means heavy-duty diesel trucks could be emitting far more smog-forming nitrogen oxide than previously thought, said lead researcher Kanok Boriboonsomsin. That range – 15 to 70 percent – depends on the type of truck. Boriboonsomsin affixed data loggers to 90 trucks around California and recorded their every movement for the length of his study. He recorded how much time drivers spent crawling down city streets. How much time they cruised on freeways. How much time they spent idling. And they spent a lot of time idling – for Southern California port trucks, it was half of the time the trucks were operating. 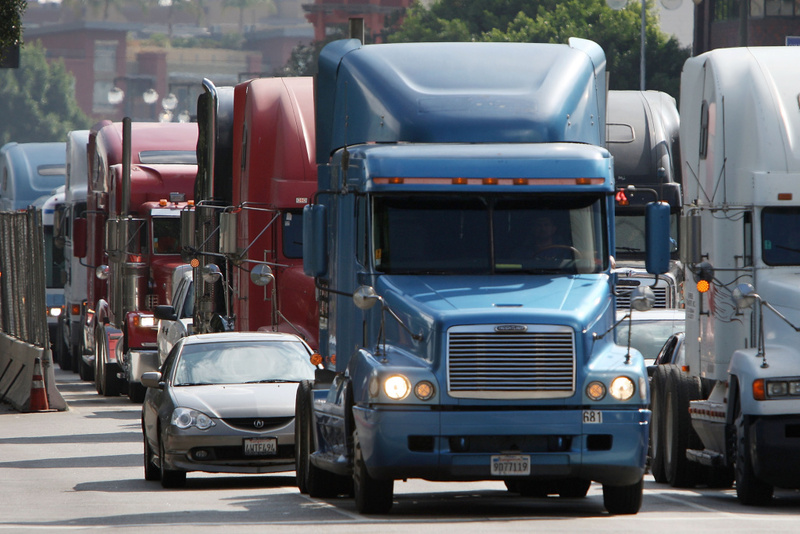 Amount of time 90 California heavy-duty trucks spent braking, idling, coasting or cruising. These data matter because when trucks are idling or driving at slow speeds or with light loads, their engines don’t heat up. And when their engines don’t heat up, nitrogen oxide isn’t broken down and emissions levels can be higher than the legal limits. 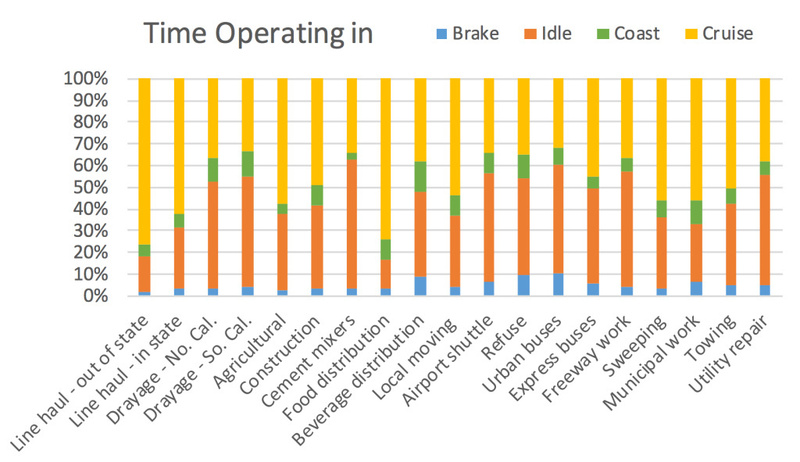 Garbage trucks were the worst performers, running with cold engines almost 70 percent of the time. 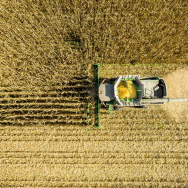 Trucks used in agriculture did the best, at only 15 percent of the time. Everything else – the big rigs that haul cargo containers from the ports to warehouses, moving trucks, cement mixers – were somewhere in the middle. The findings are a big deal for Southern California, said Kimberly Heroy-Rogalski, who oversees emissions from cars and trucks for the California Air Resources Board, which helped fund the research. Previous studies focusing specifically on trucks at the Ports of LA and Long Beach have also found that smog-forming emissions are much higher than they should be. A 2015 study in Environmental Science & Technology found that nitrogen oxide emissions from diesel trucks were more than 26 times higher than the EPA standard. The led researchers to conclude that the characteristics of operating trucks at the ports are not conductive to reducing nitrogen oxide emissions with SCR technology. Heroy-Rogalski says CARB is working on a new way of certifying heavy-duty trucks in California that will ensure they are still clean even when driving slowly or idling. The new test will be part of a new, California-specific heavy-duty truck emission standard that the agency hopes to roll out in 2019. The South Coast Air Quality Management District has asked EPA to make the new benchmark a national standard. Without the new, national emissions standard for heavy-duty trucks, the SCAQMD believes Southern California has little hope of meeting the latest federal smog standards.